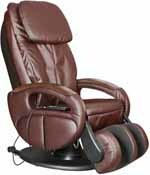 This advanced recliner features a special vibration massage. Which means your aches and pains won’t stand a chance! Features include kneading, clapping, tapping, rolling, and dual–action motions. A built–in auto–scanning feature customizes the massage for each user. There are six pre–programmed massages with customizable strength, speed and intensity. 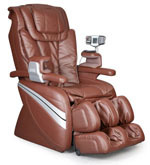 For convenience, you can customize the kneading and tapping massage with a roller adjustment button. Unique to this style is an air–pressure calve massage that rotates 180? to provide leg support when not in use. 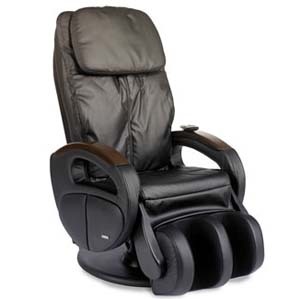 One touch power recline allows you to adjust the back and legs independently. 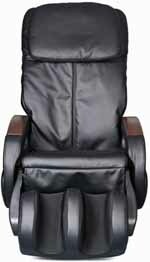 The 15–minute automatic shutoff provides peace of mind in case you forget to turn off the chair. And the LED remote allows you to control these features easily. Massage Actions – Vibration massage, kneading, clapping, tapping, rolling and dual–action. Auto–Scanning – Automatically adjusts massage specific to the users body. Air Pressure System – Invigorating air pressure system in calve areas. Pre–Programmed Massage – Six preprogrammed massages with customizable strength, speed and intensity. Calve Adjustments – The calve massage rotates 180 Degrees for leg support. 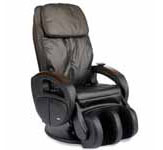 One Touch Recline – Reclines easy and smooth. Back and legs move independently. 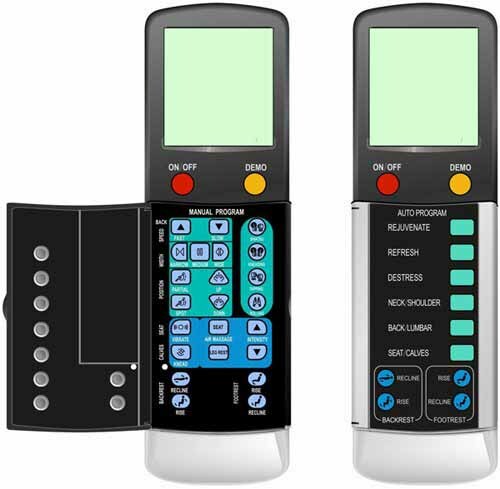 Program Timer – 15–minute massage programs with an automatic shutoff. Durable synthetic leather has the look, feel, and comfort of real leather. Available in either black or brown. Dimensions: Approximately - H. 49" W. 28.5" D. 45"
Top of Backrest to the seat is "